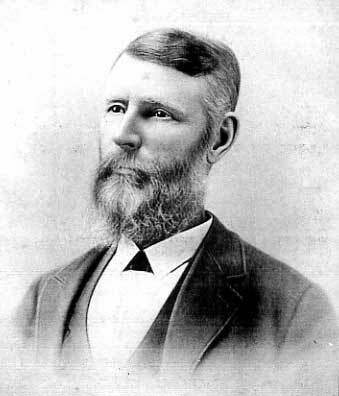 David Reed was born in Carlisle, Cumberland County, Pennsylvania in 1842. In 1848, his family moved to Port Byron, Rock Island County, Illinois—on the banks of the Mississippi. Reed enlisted in the Autumn of 1861 along with other men and boys from Port Byron, Coe, and Zuma Townships. Reed was wounded on September 19, 1863 at Chickamauga. The next day he was captured by Confederate cavalry. For ten days, he was a prisoner of war and then was paroled when Bragg sent many wounded Federal soldiers back through the lines. After the war Reed moved west to Iowa and then to Nebraska. He married and raised a family. The Confederate ball worked its way slowly slowly down through the tissue of his leg, to the ankle. Eventually, a doctor cut it out, leaving him a weakened but serviceable leg. Reed became the proprietor of a nursery at Blue Springs, Nebraska. He became the general secretary of the Nebraska Horticultural Society. He gave papers and presentations on "Growing Apple Seedlings", "Advantages of Thorough Cultivation", and "The Cherry Experience". He helped organize and manage the Nebraska horticultural exhibit at the 1893 World's Columbian Exposition in Chicago. Reed flourished. In September, 1895, he traveled to Glenwood, Iowa, for a growers' fair—to evaluate a new variety of the old Snow Apple. In Glenwood, he visited his comrade from Rock Island and Company H, Lewis Genung (whom he hadn't seen since November 30, 1864 at Franklin, Tennessee—when Genung was taken prisoner). Reed had supper with friends at the Iowa Home for the Feeble-Minded. Reed left dinner in the company of his friends for the hack ride back to his accommodations. Just as the hack reached the railroad tracks the fast mail rounded the curve and bore down on the little group. The driver whipped the team, to speed the horses along. The driver screamed and used the whip again. Reed, at the back of the hack, thinking the carriage would not clear the tracks, tried to jump free. The hack just then lurched forward, across the tracks. The forward spring of the hack cut Reed's legs out from under him as he jumped, and he fell in front of the train. "The train struck him a death blow in the back of the head... and also caught one leg under the wheels which was mashed from the knee down." He lived less than thirty minutes more. Reed was buried on Monday, September 30, 1895, in the Blue Springs Cemetery, with saplings from his own nursery growing around the gravesite. 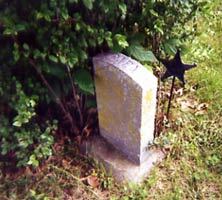 Reed's friend Wellington Carmichael, a trooper of the Second Iowa Cavalry during the war, watched over his burial. They had several times been together on the same fields: New Madrid, Farmington, Corinth, Franklin, Nashville—and finally Nebraska. David U. Reed, Compiled Service Record, Records of the Adjutant General's Office, 1780's-1917, Record Group 94, National Archives and Records Administration, Washington, D.C.